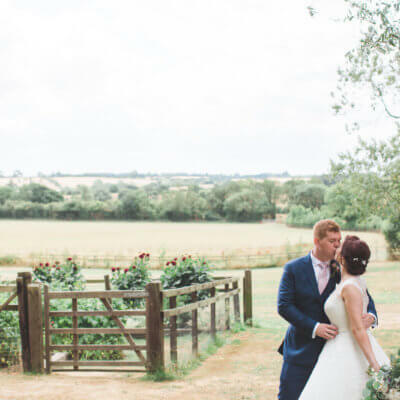 Ryan & Lisa’s July wedding was a joy to be involved with.  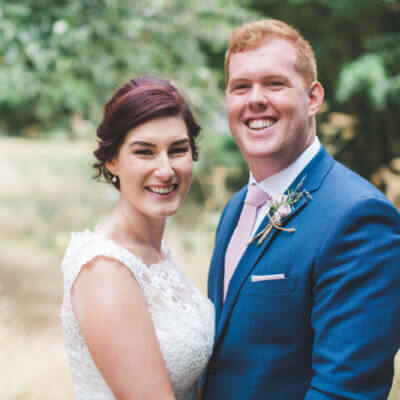 Filled with love and laughter from start to finish, the pair made the most of everything Crockwell has to offer. 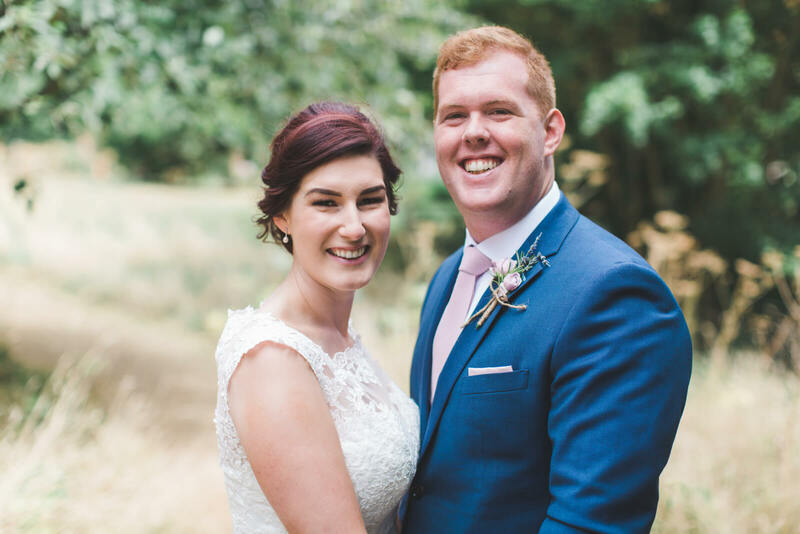 The couple both stayed in our cottages the night before the wedding. 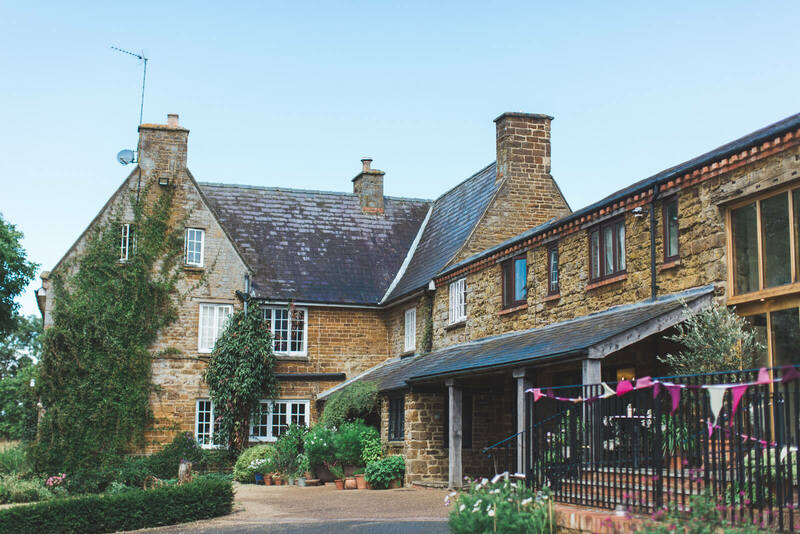 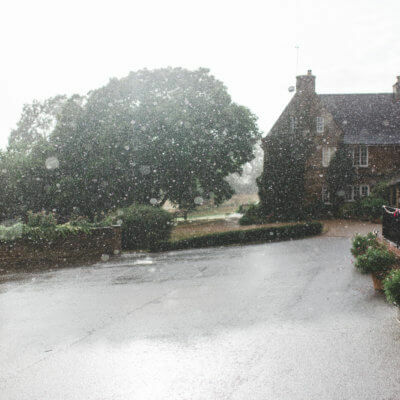 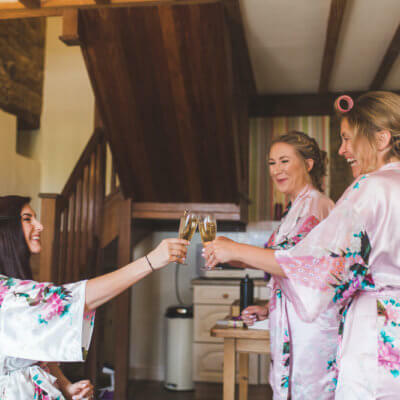 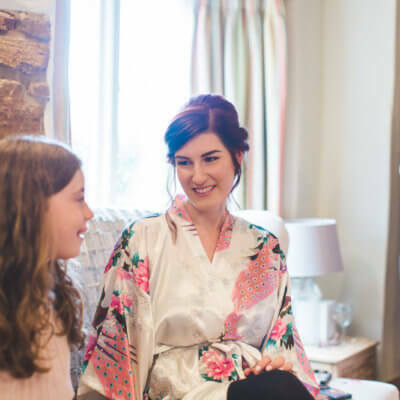 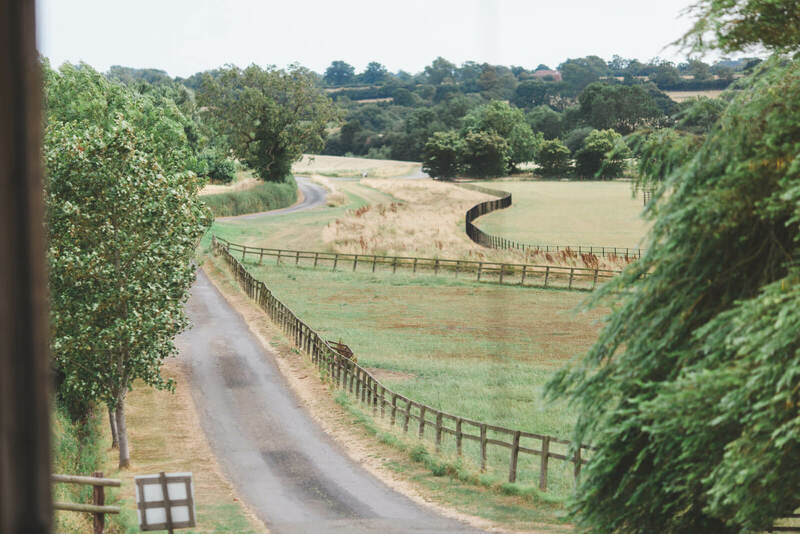 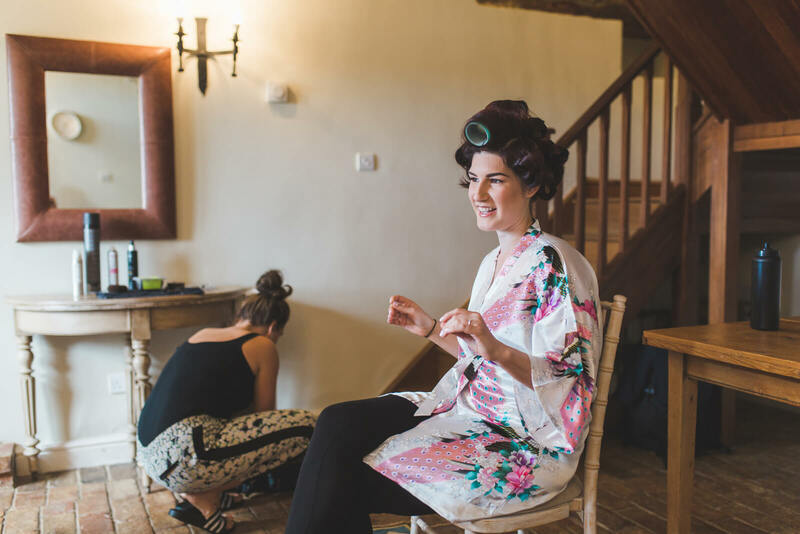 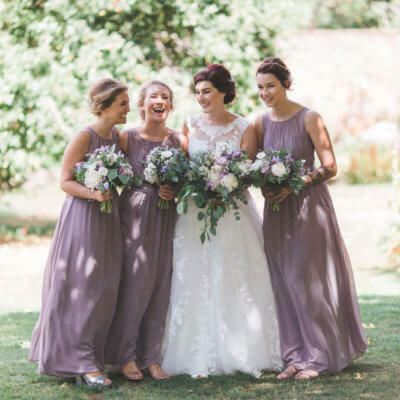 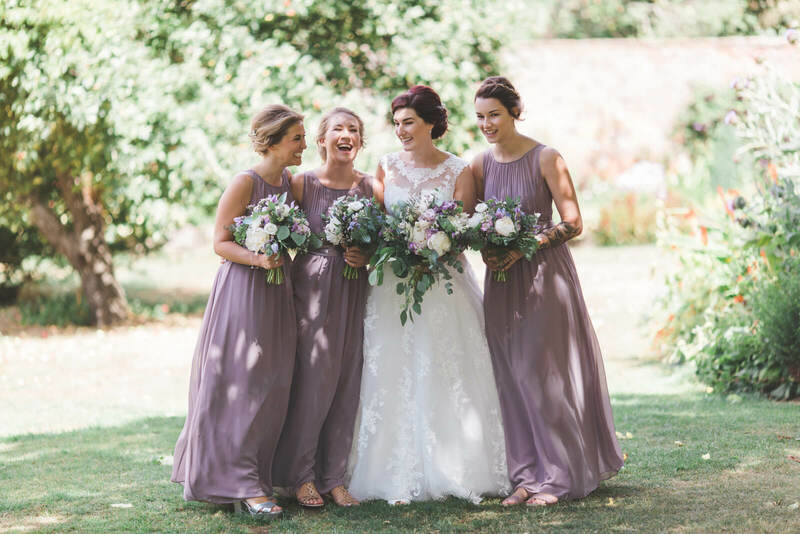 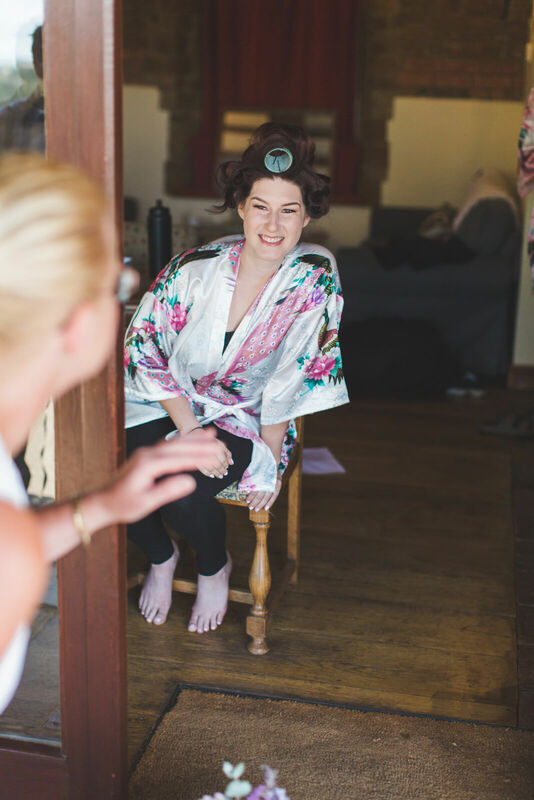 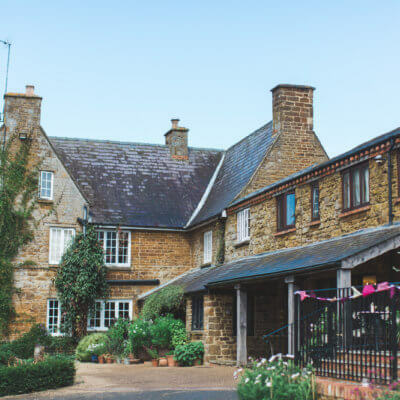 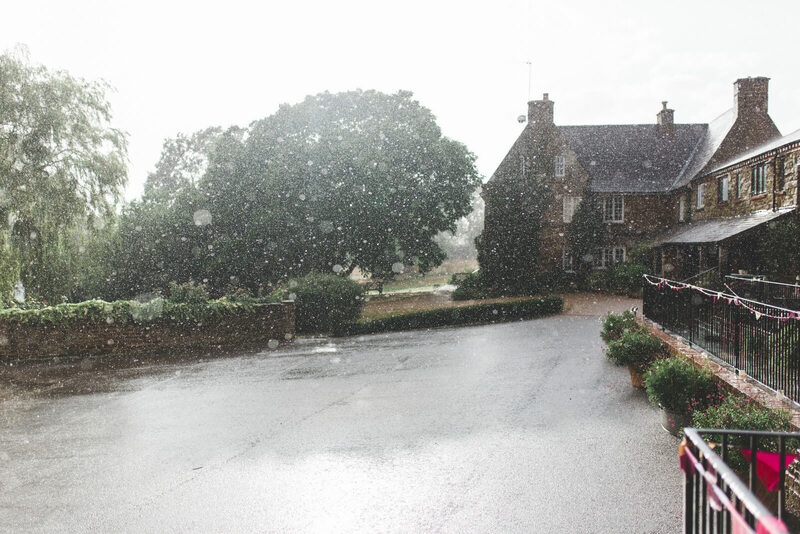 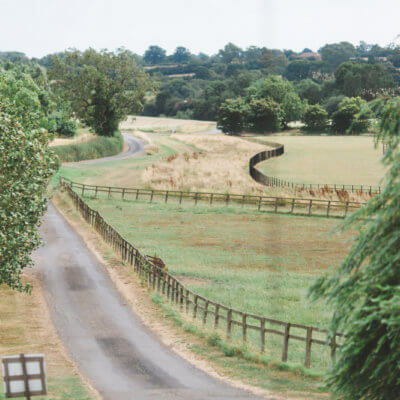 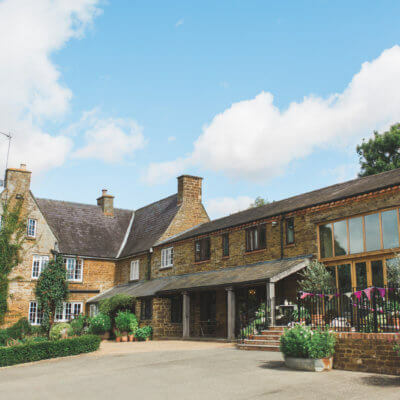 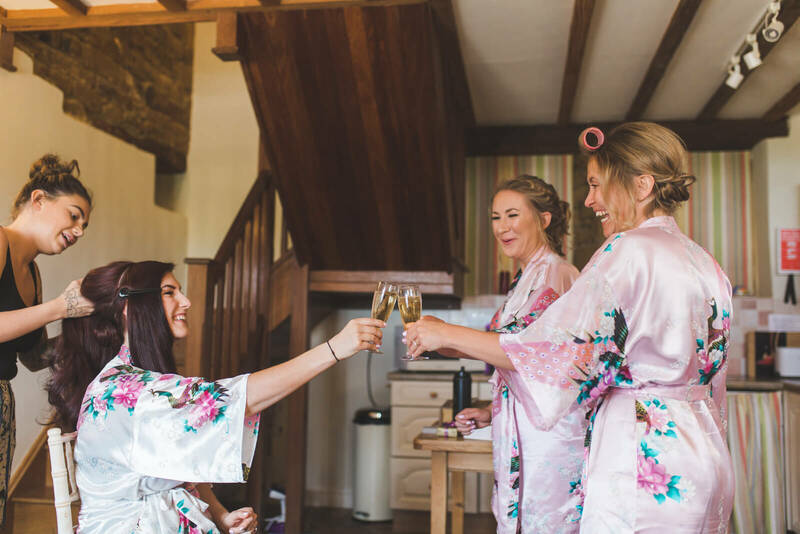 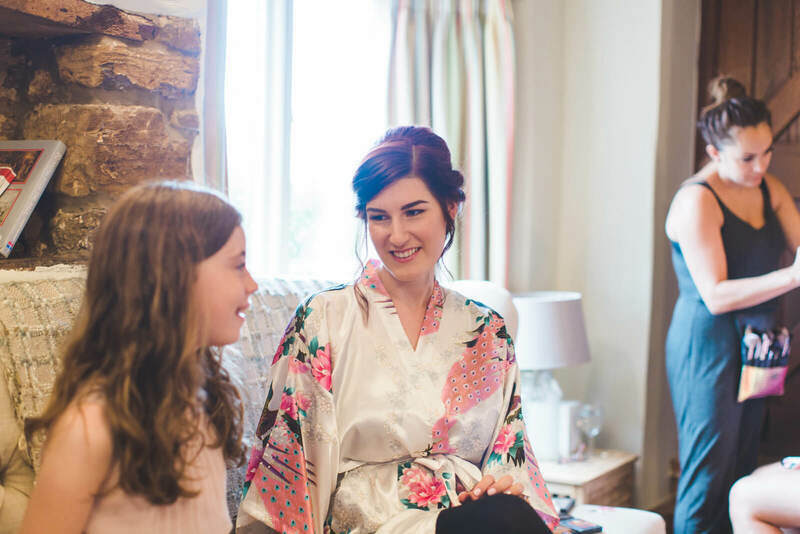 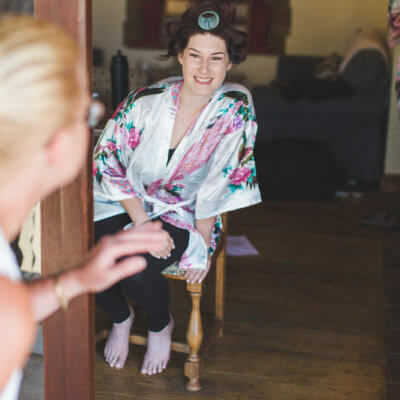 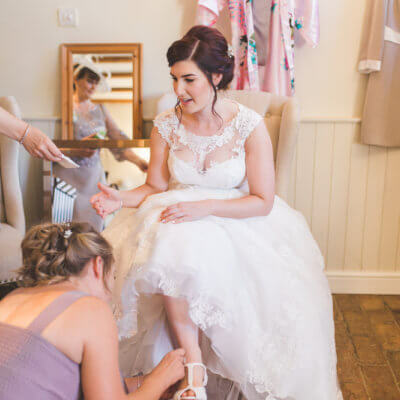 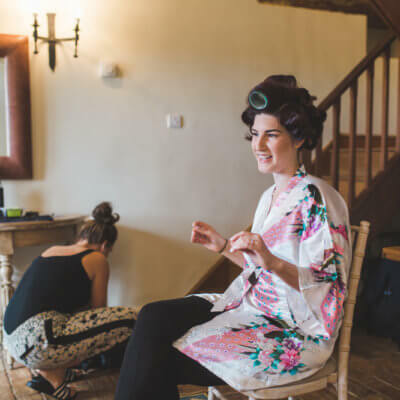 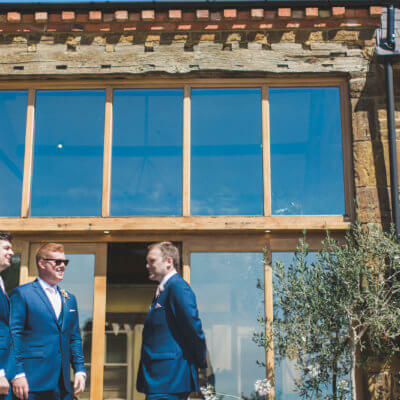 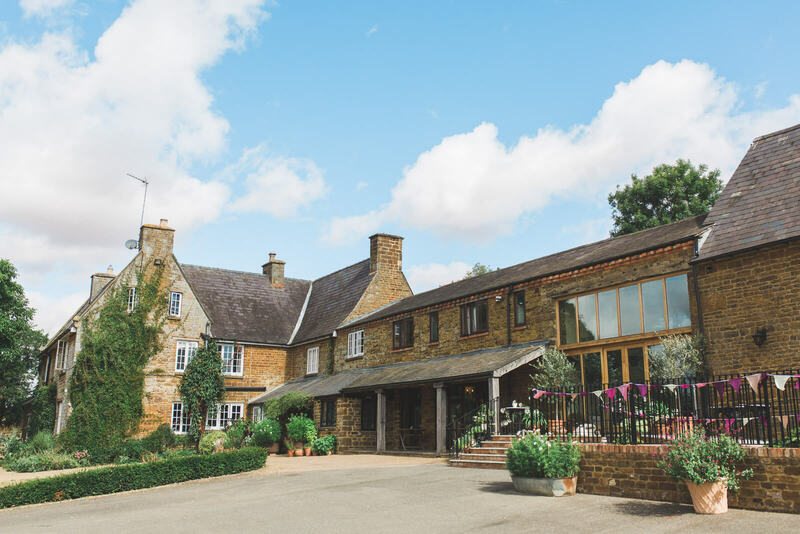 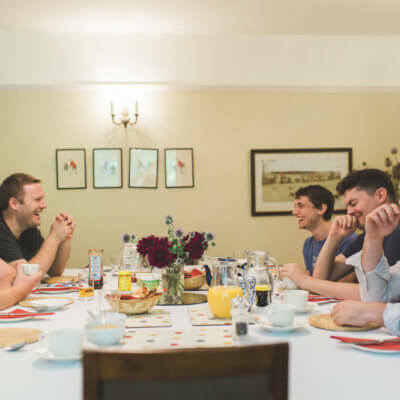 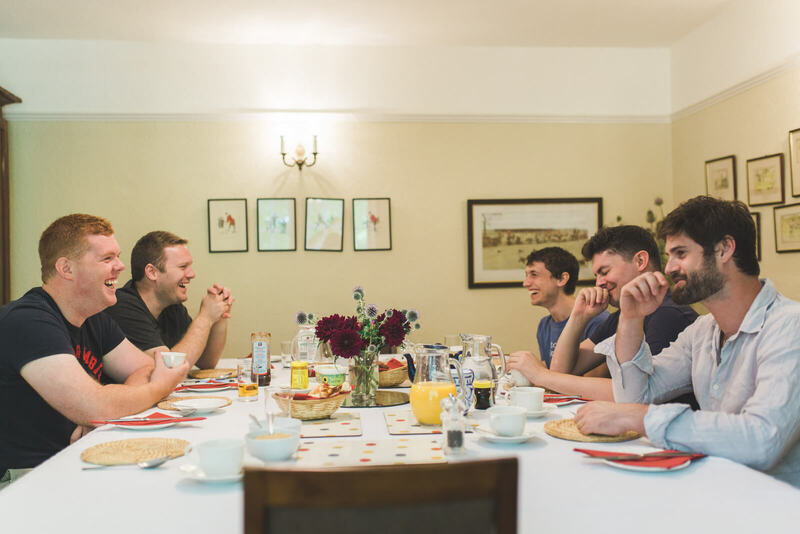 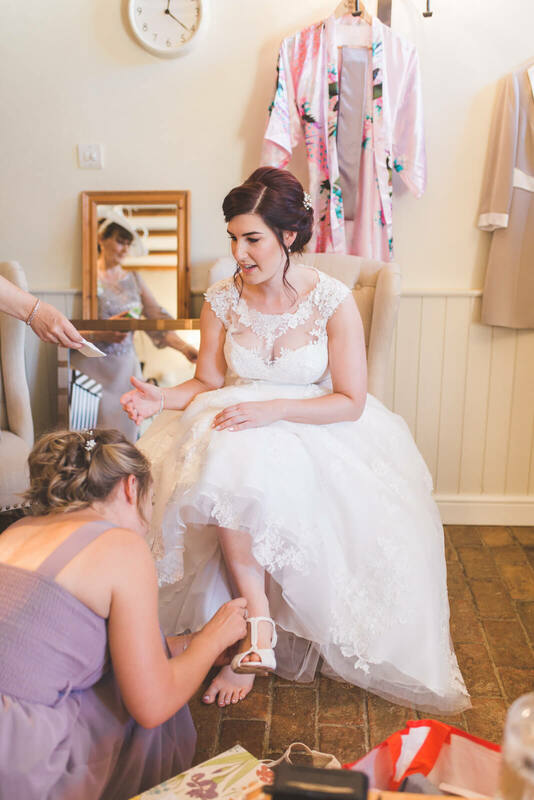 After a full English to set them up for the day, the groom and ushers headed back to East of Eydon to complete their preparations while Lisa and her bridesmaids retreated to the honeymoon cottage for hair, makeup and bubbles. 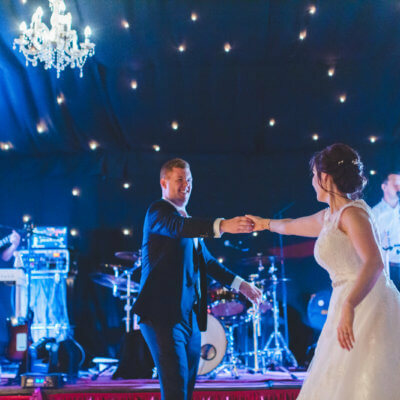 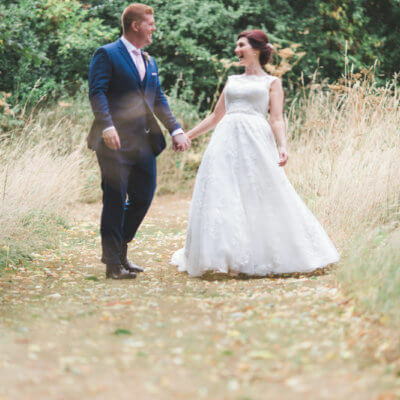 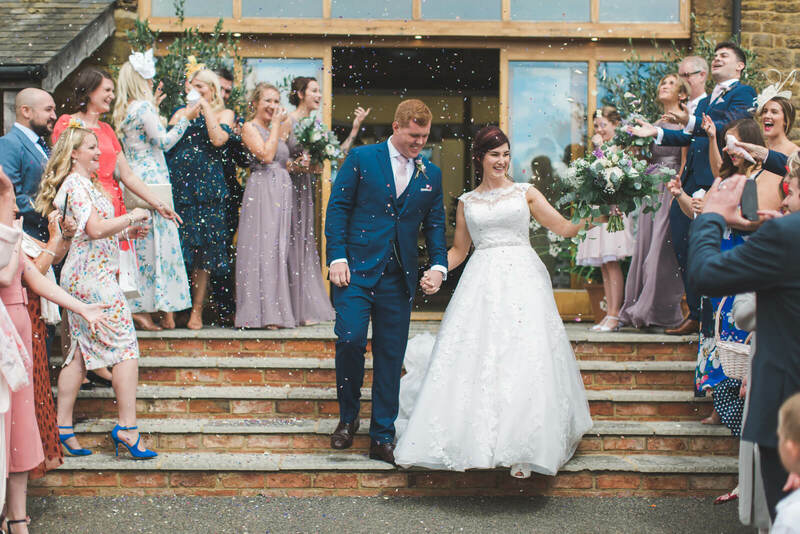 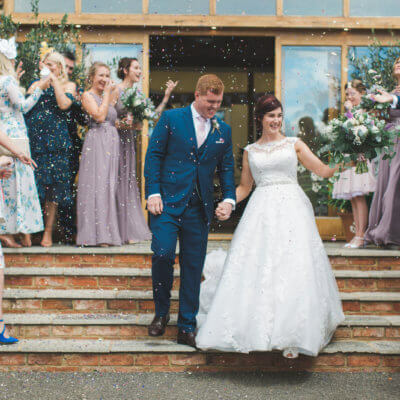 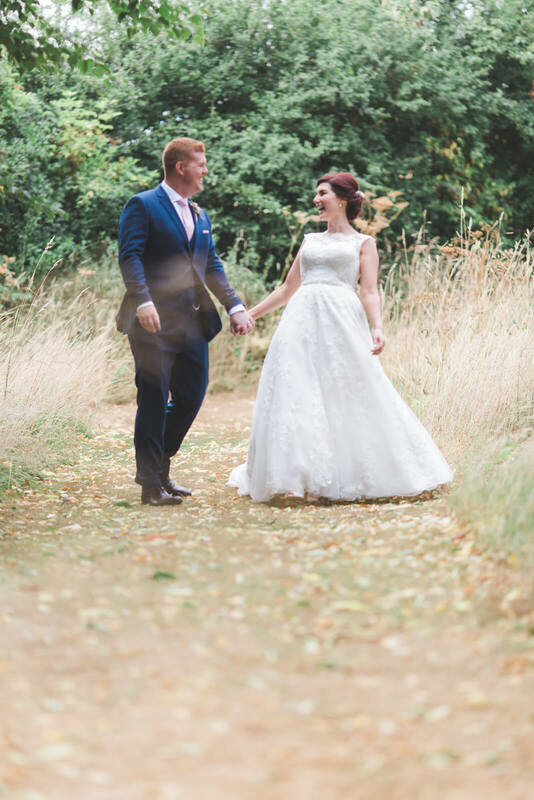 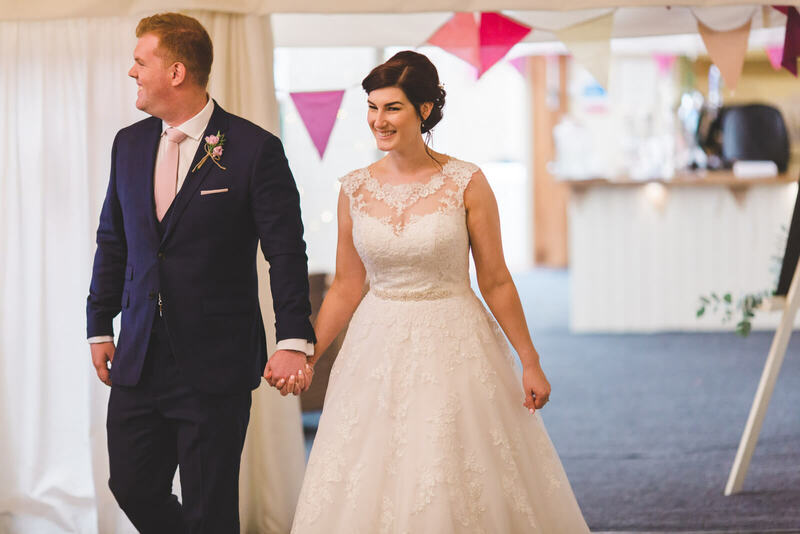 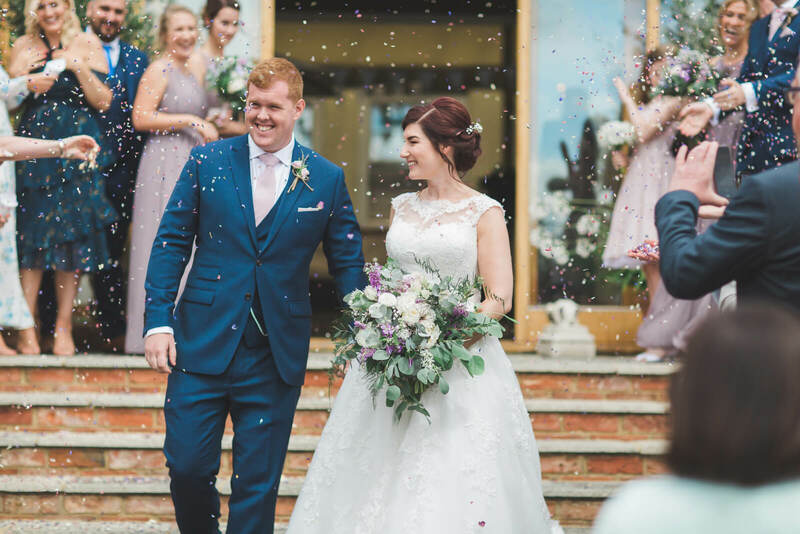 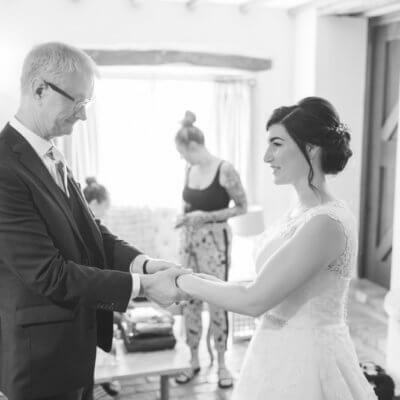 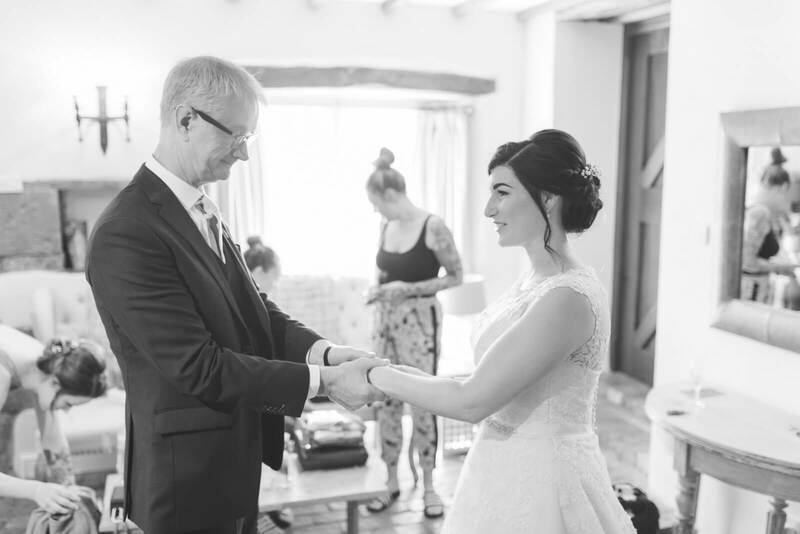 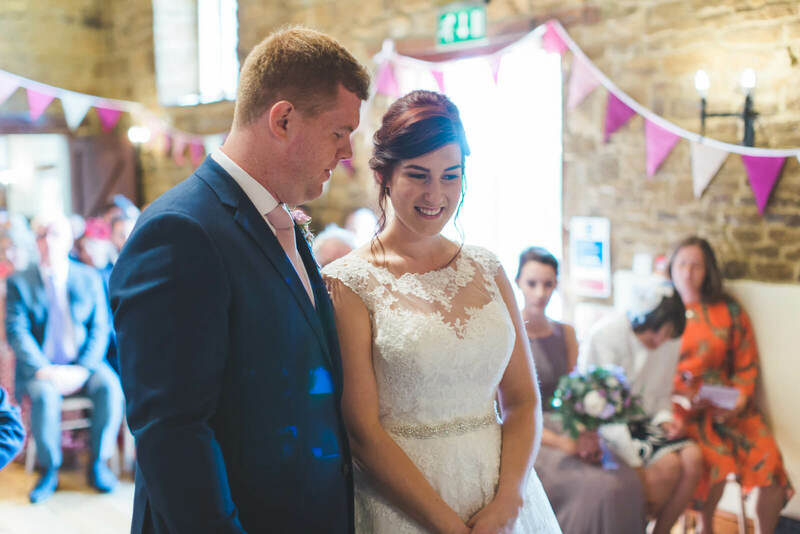 The bride found her stunning dress which featured lace detail and a full skirt in Verona Couture in Olney. 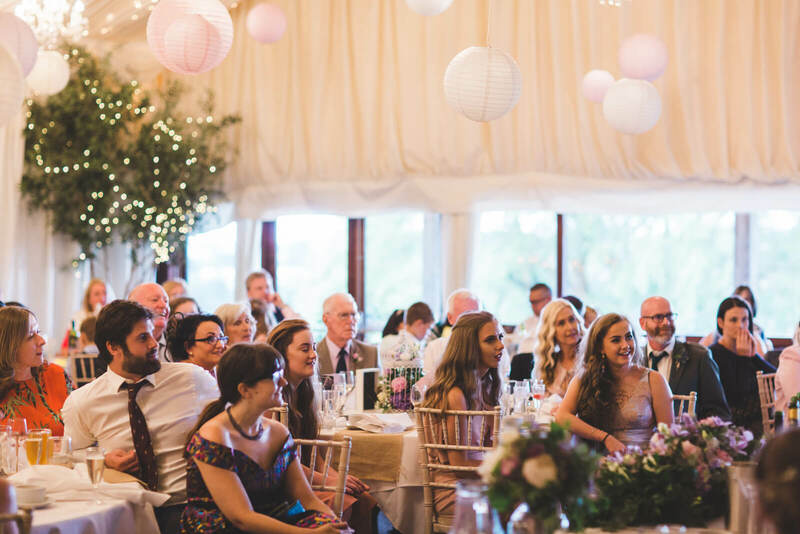 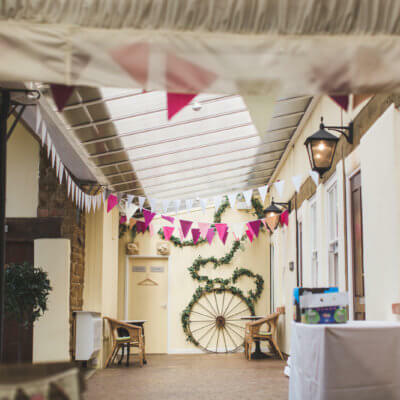 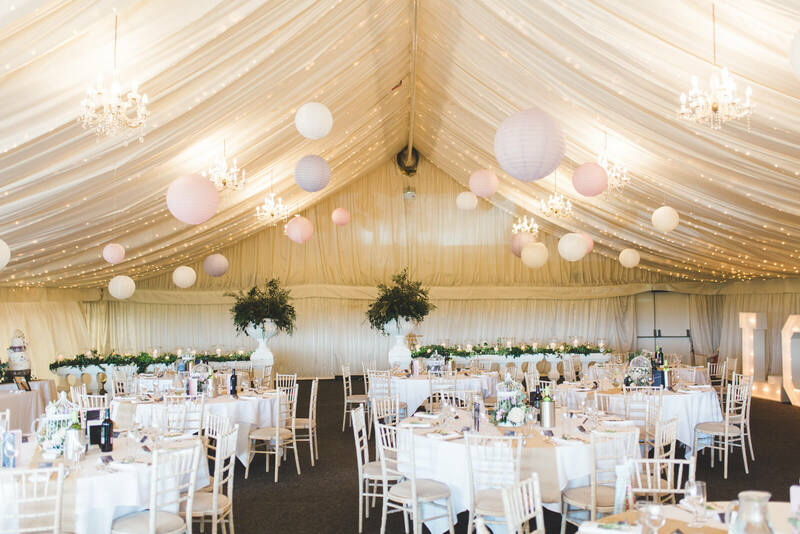 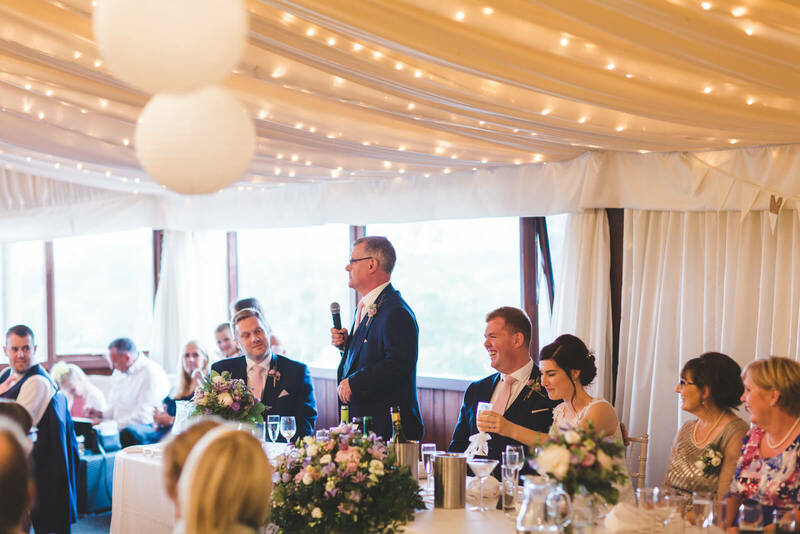 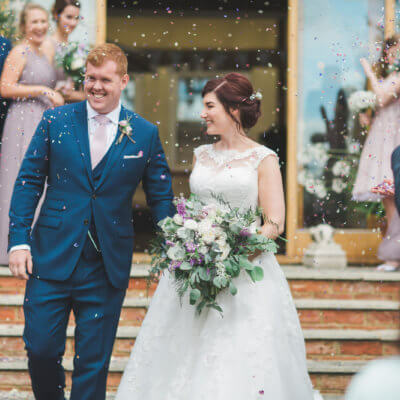 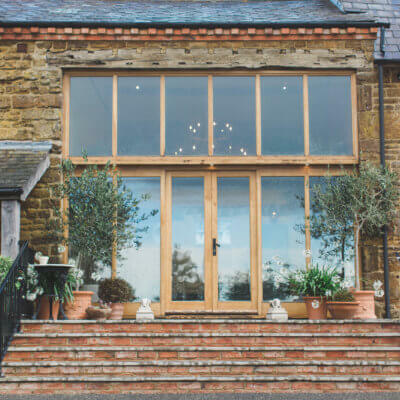 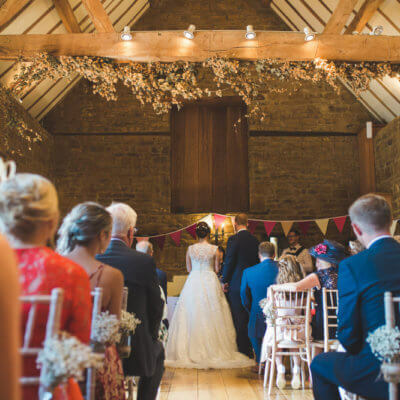 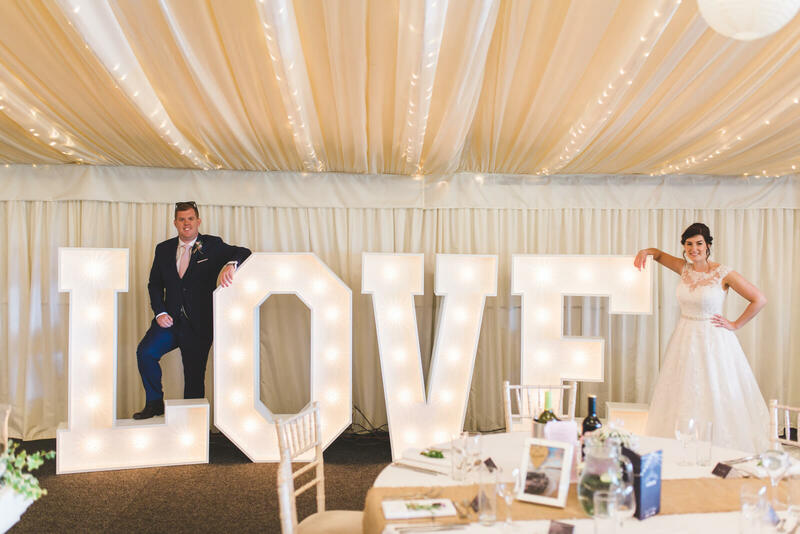 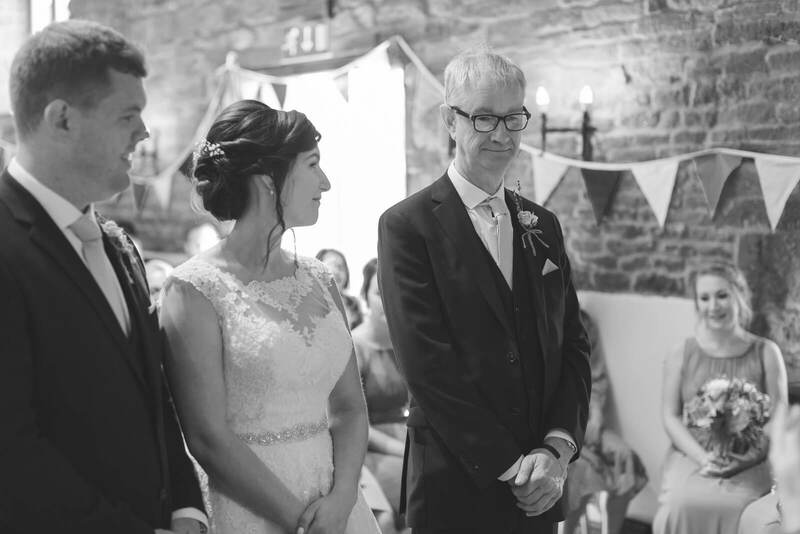 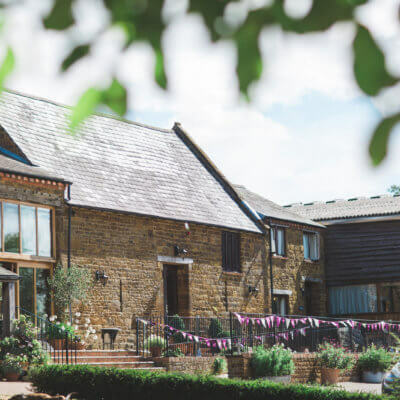 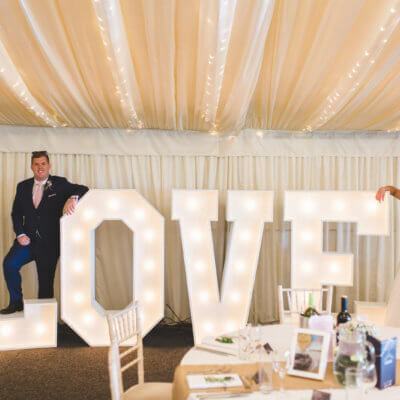 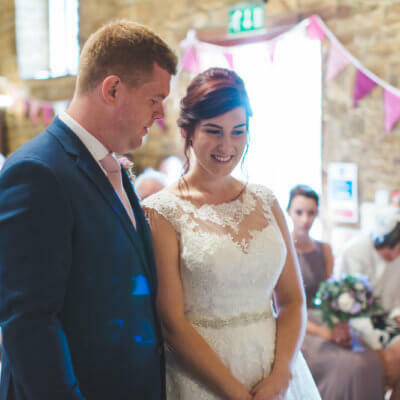 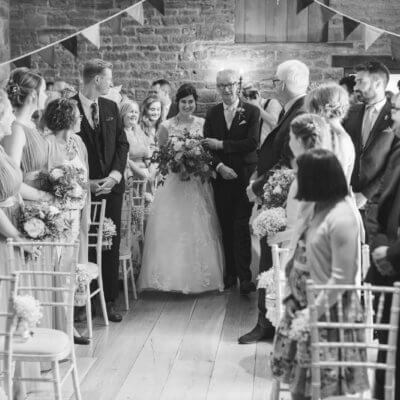 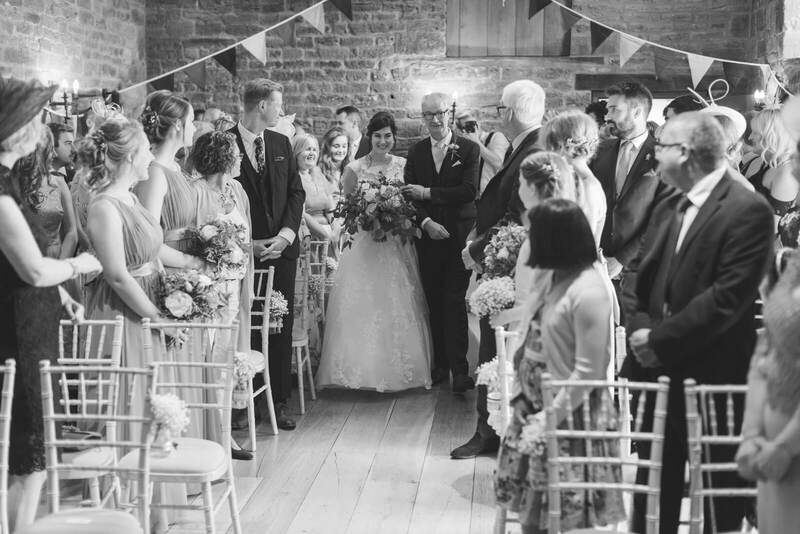 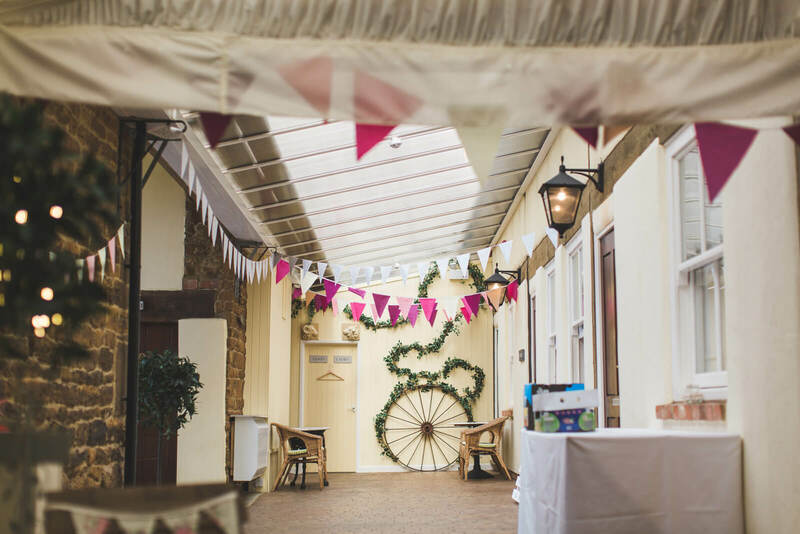 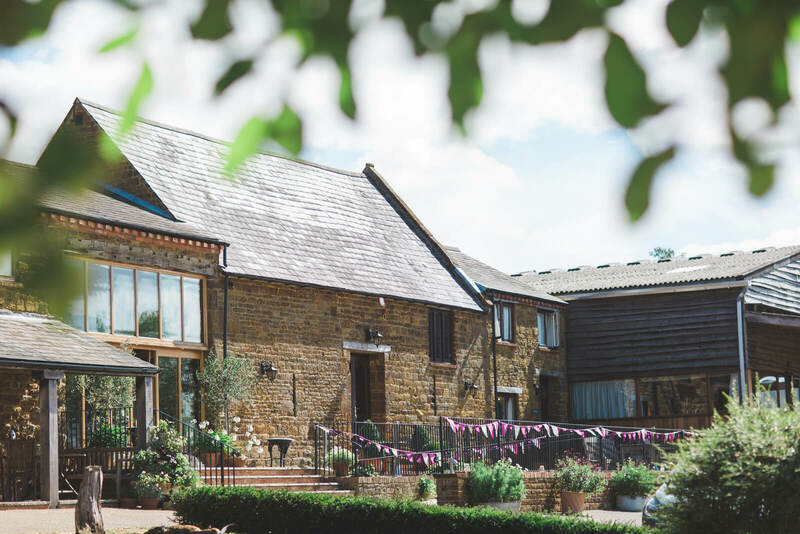 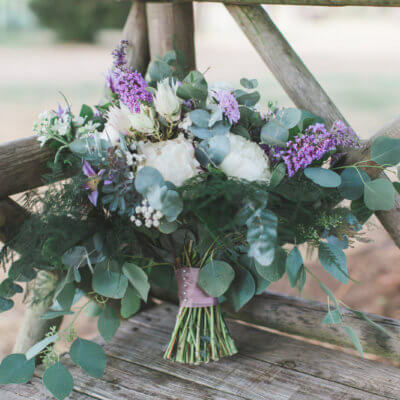 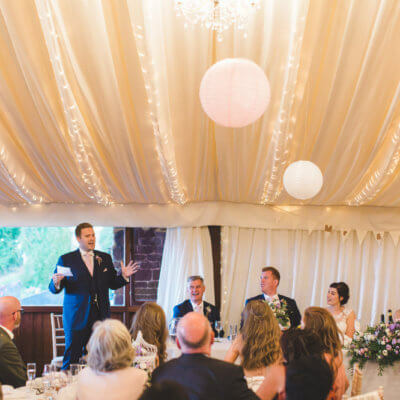 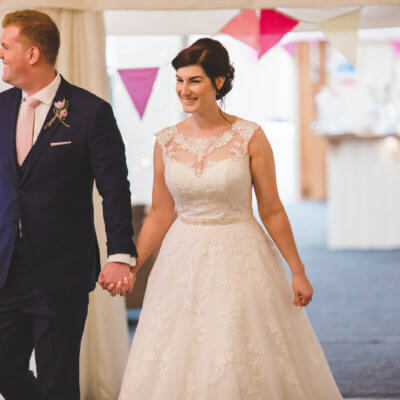 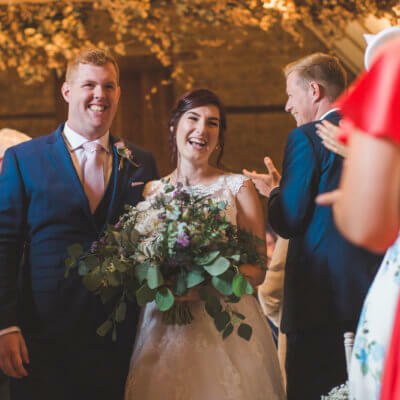 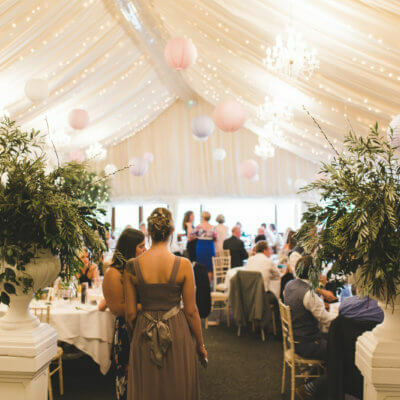 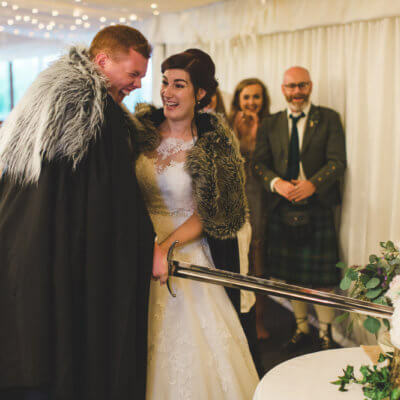 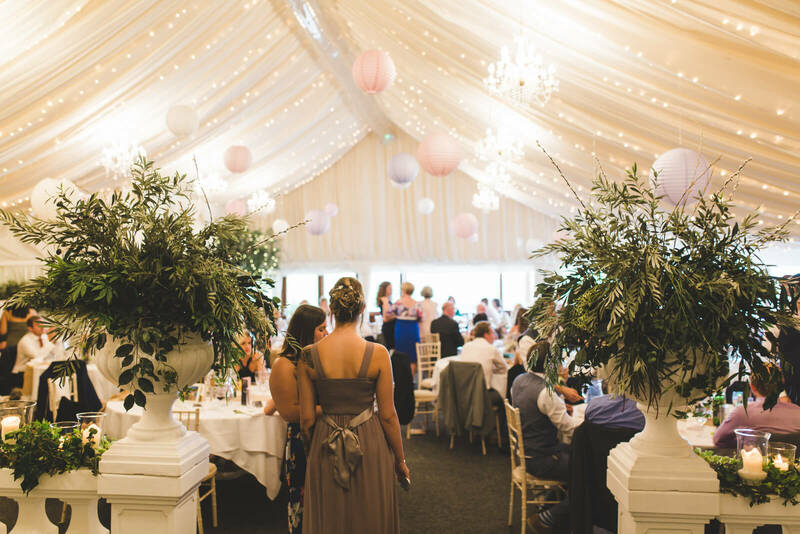 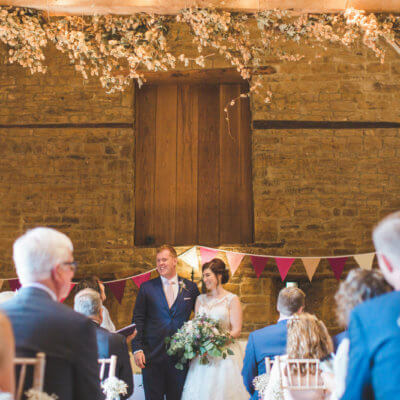 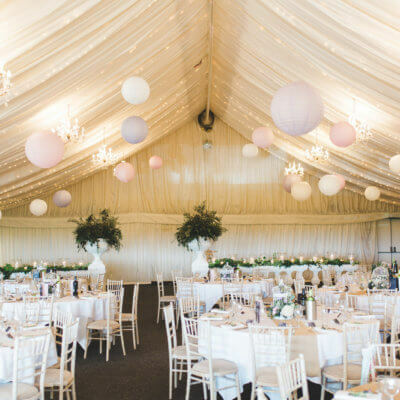 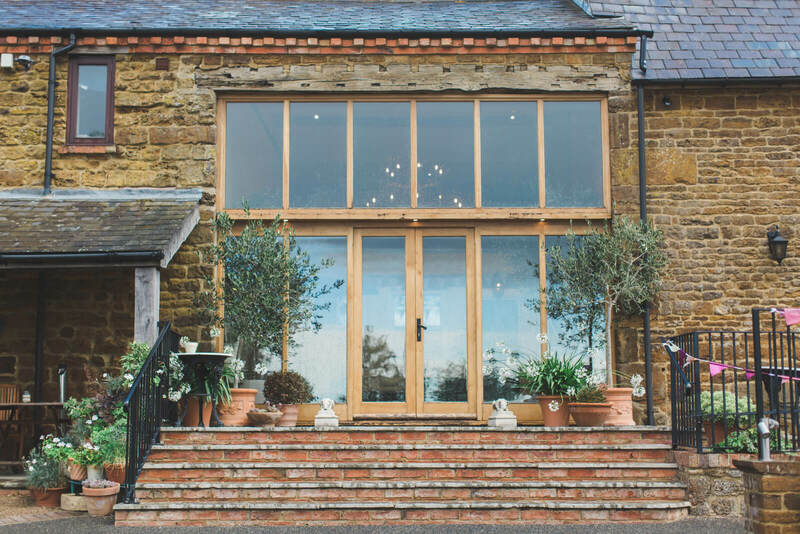 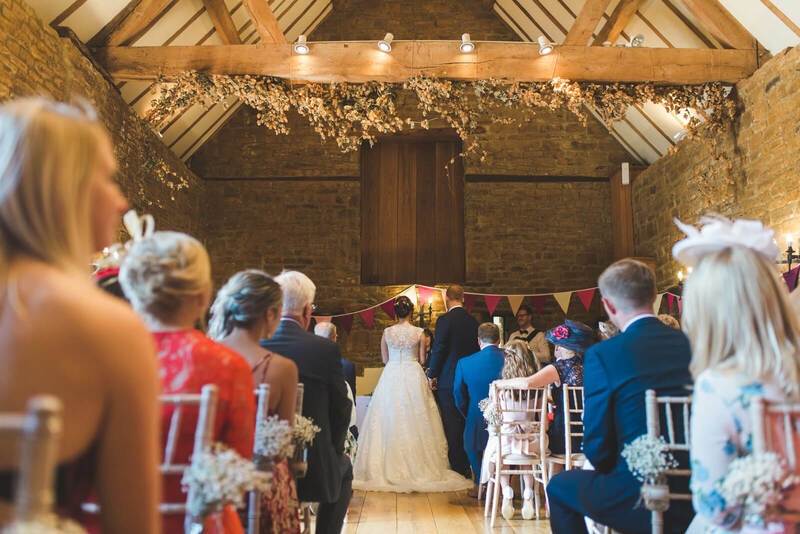 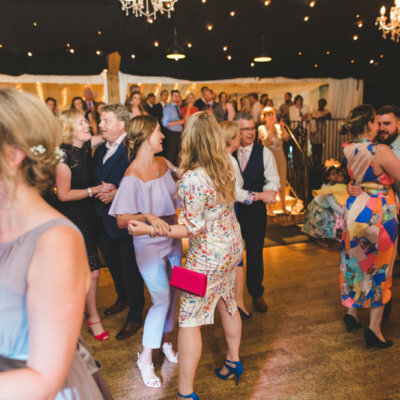 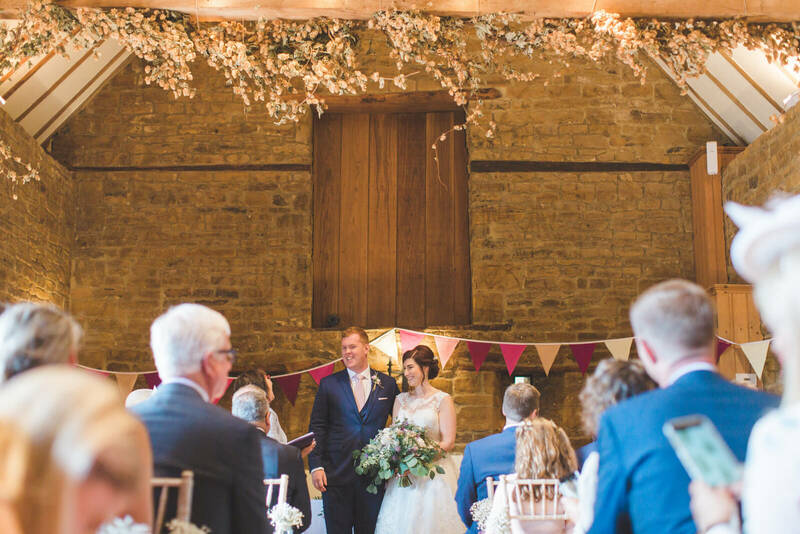 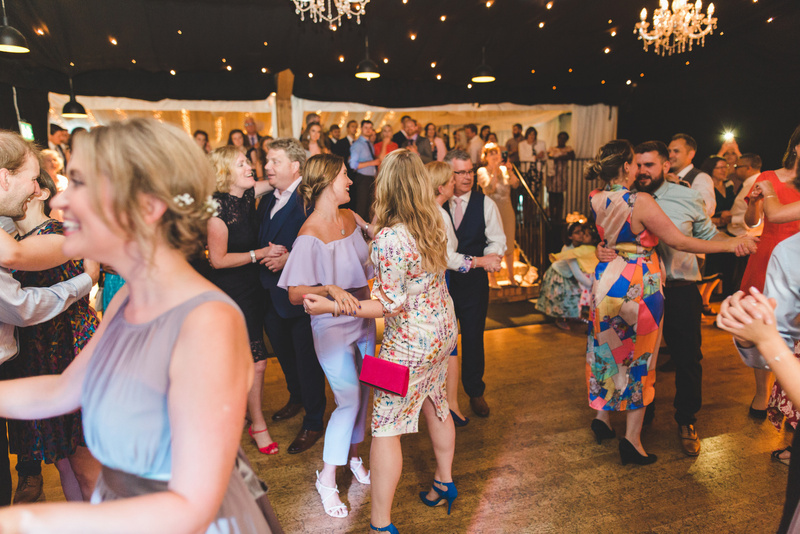 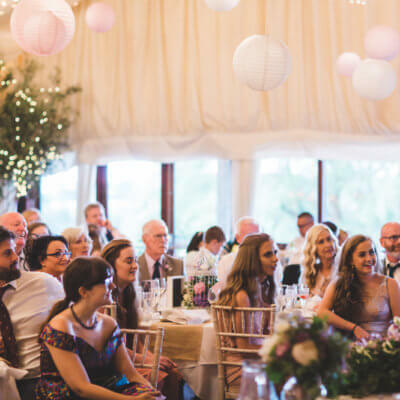 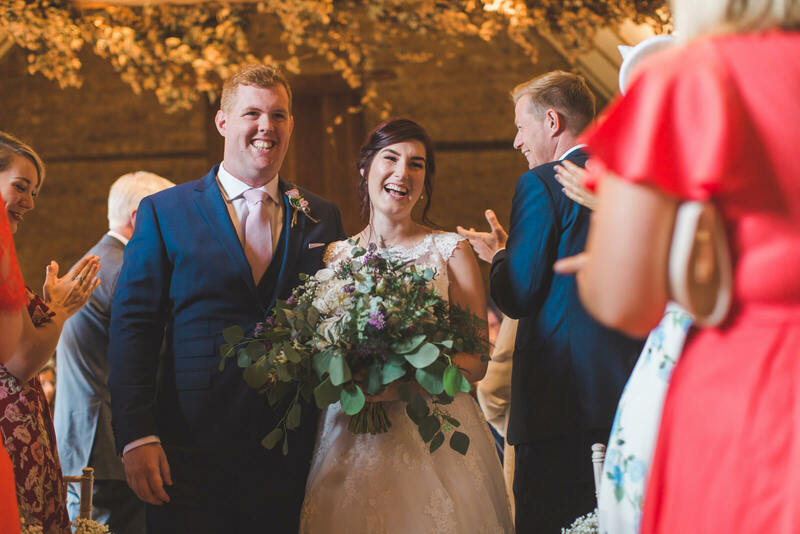 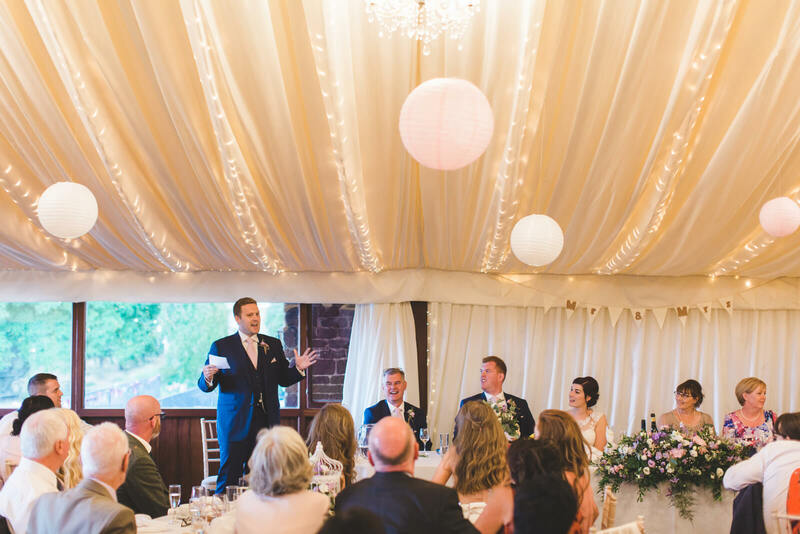 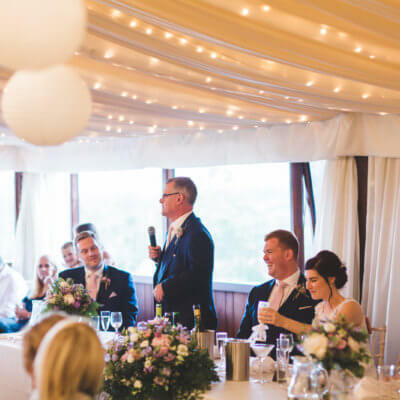 The couple chose to tie the knot in the vaulted barn which was decorated with bunting, and flowers from Sophia at Green Room Flowers. 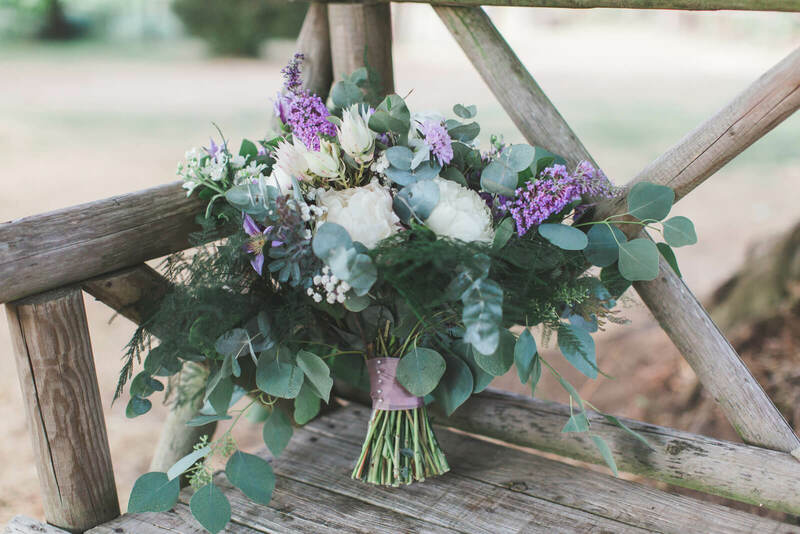 Sophia also provided a beautiful large bouquet for the bride with pretty pinks alongside eucalyptus and clematis. 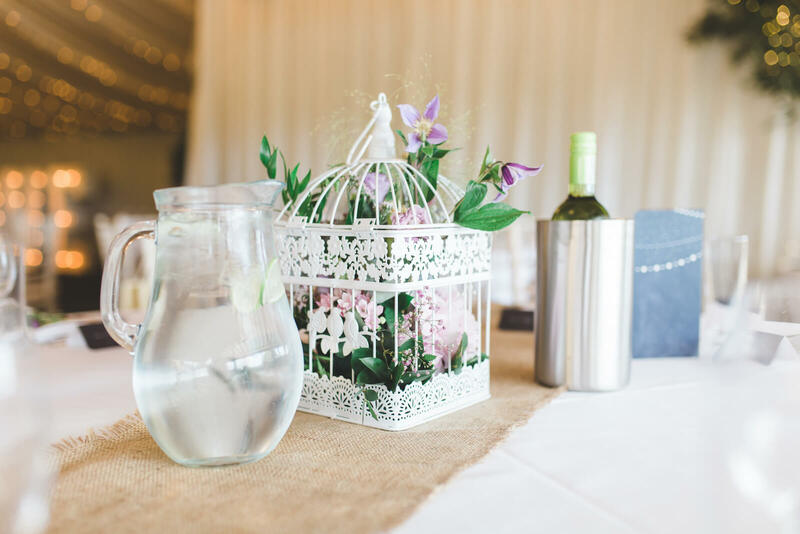 This theme was carried throughout the table centres and complemented by pom poms in the main marquee from Decorations From Laura. 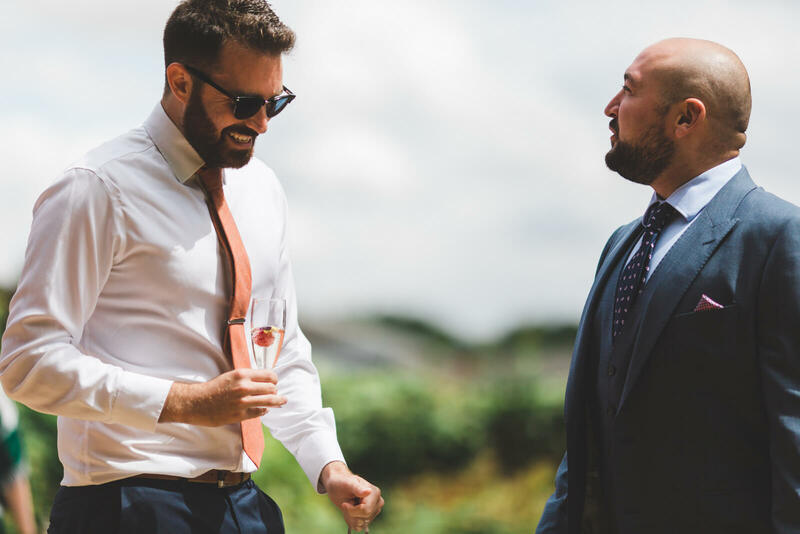 Guests were treated to the couples’ signature cocktails of Esspresso Martinis and Rum Punch before their wedding breakfast of barbecued sliders from the Chopping Block. 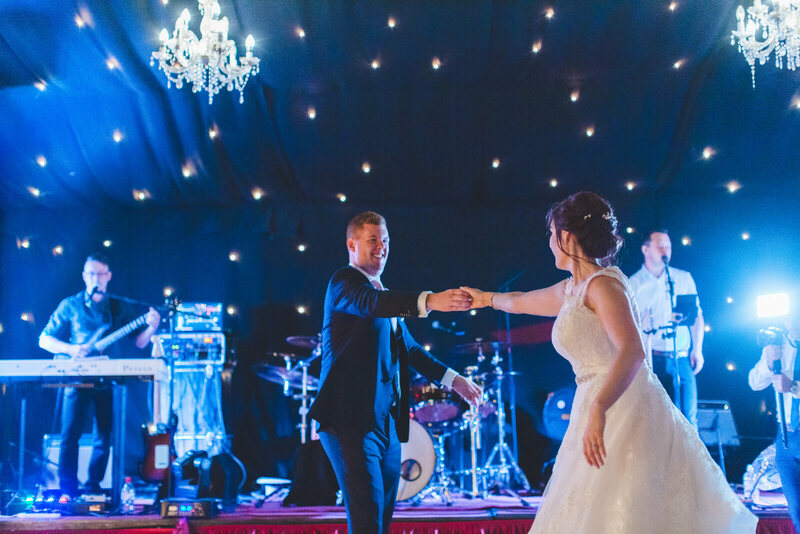 The wedding party danced the night away to live band the Hypertones with the bride and groom leading the party. 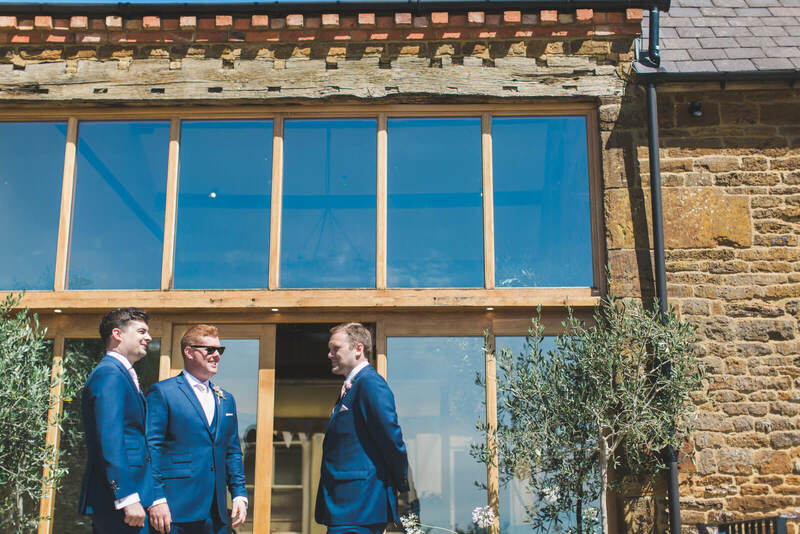 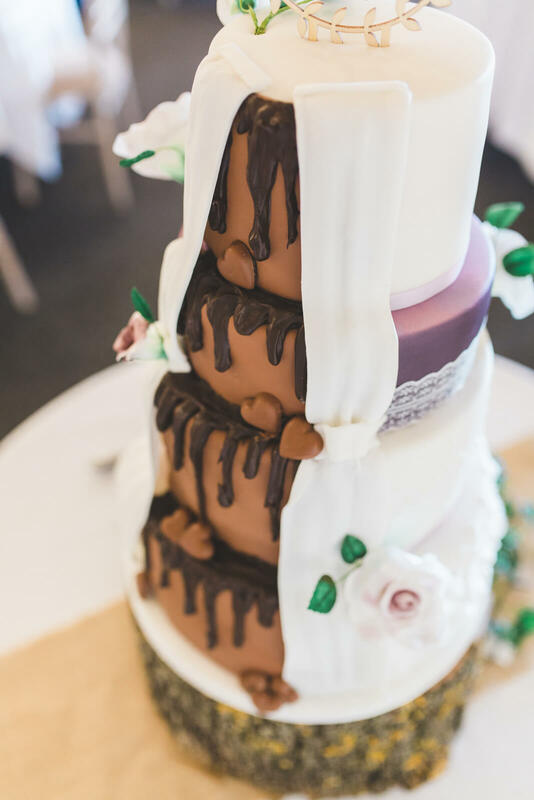 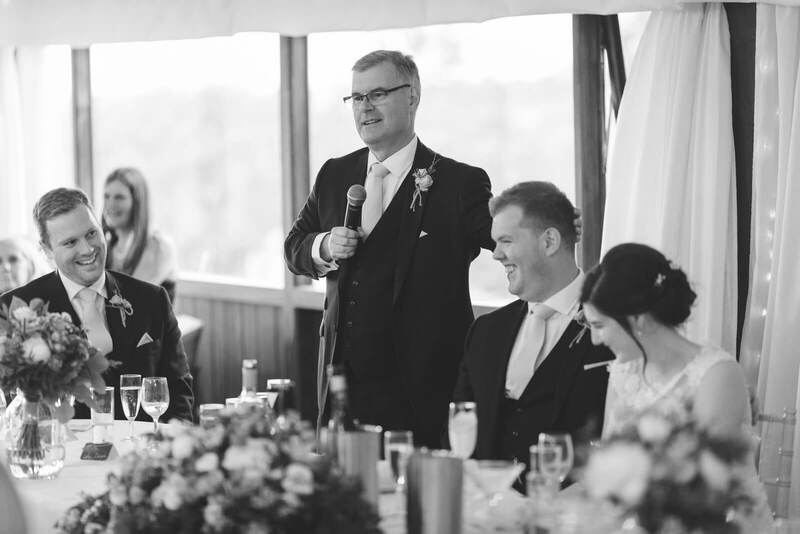 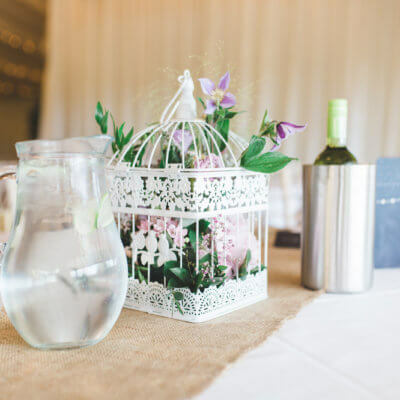 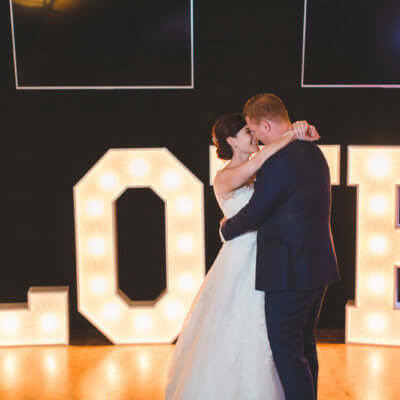 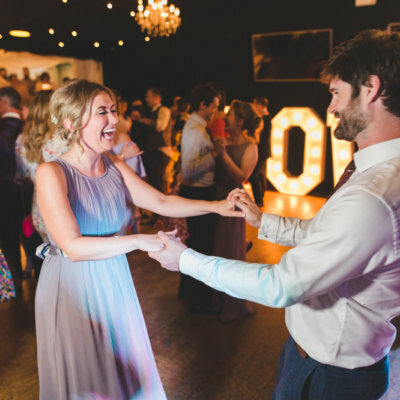 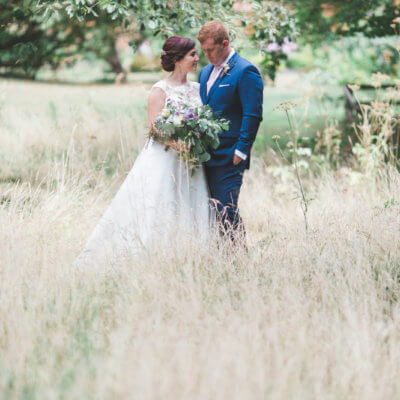 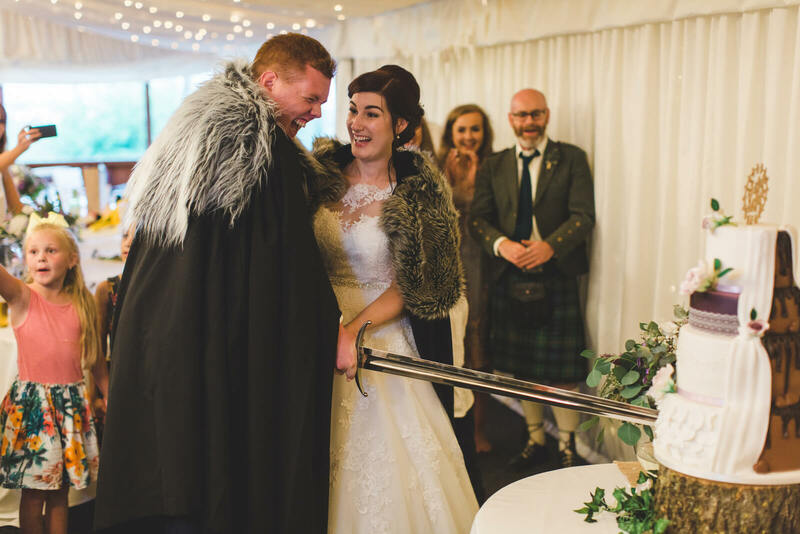 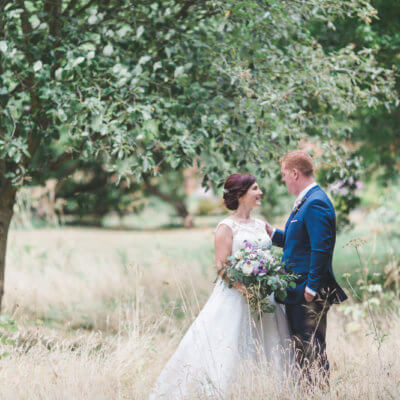 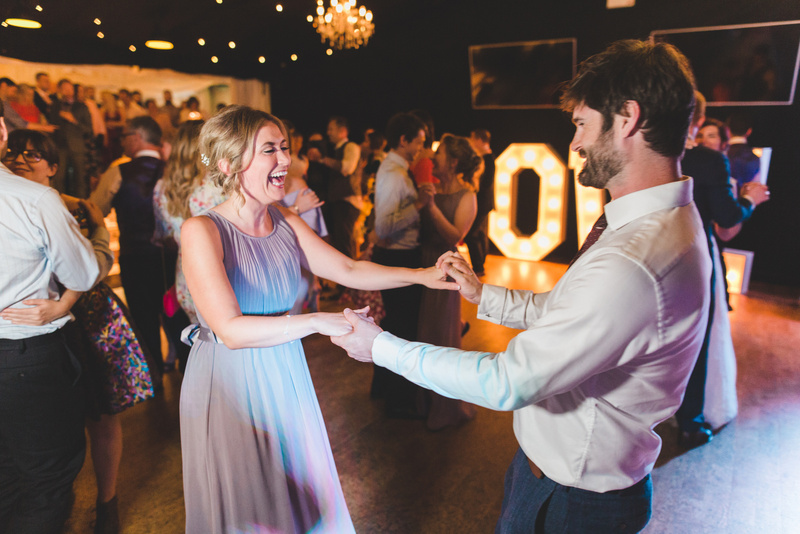 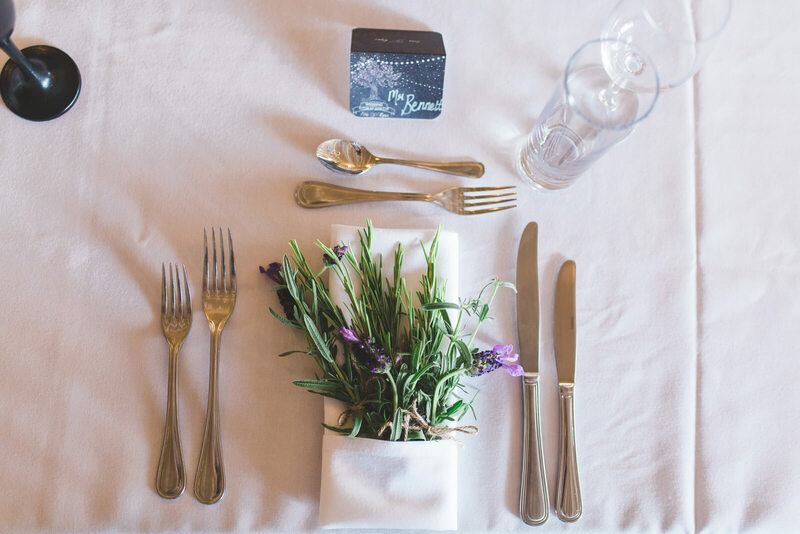 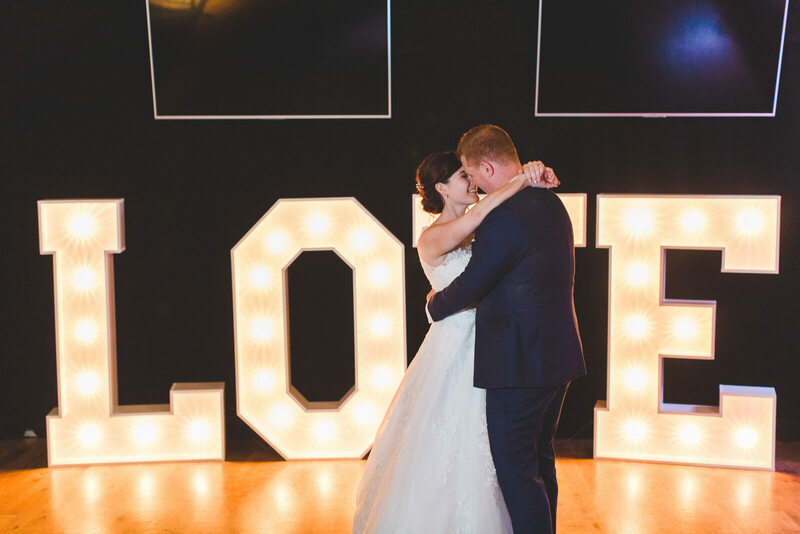 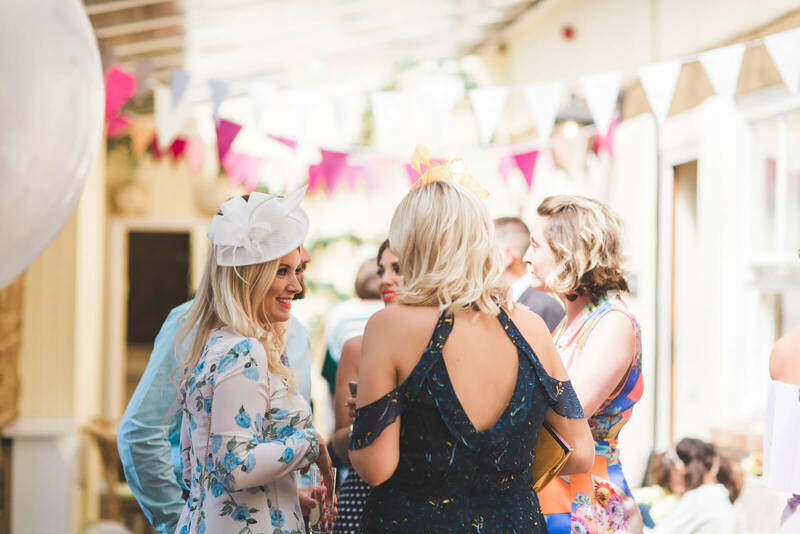 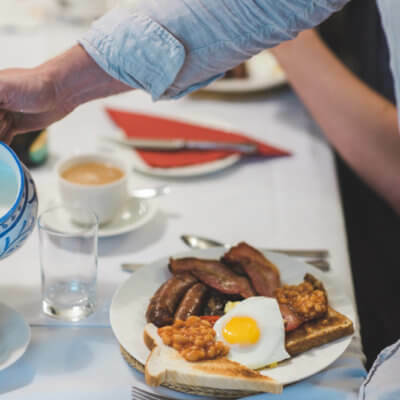 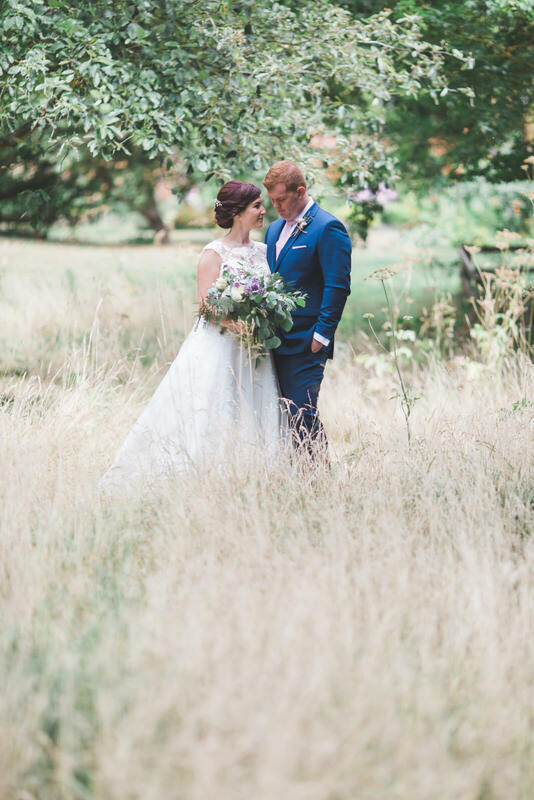 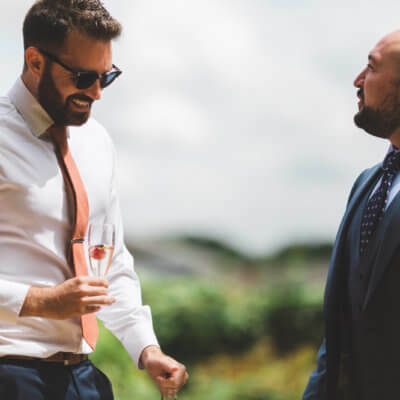 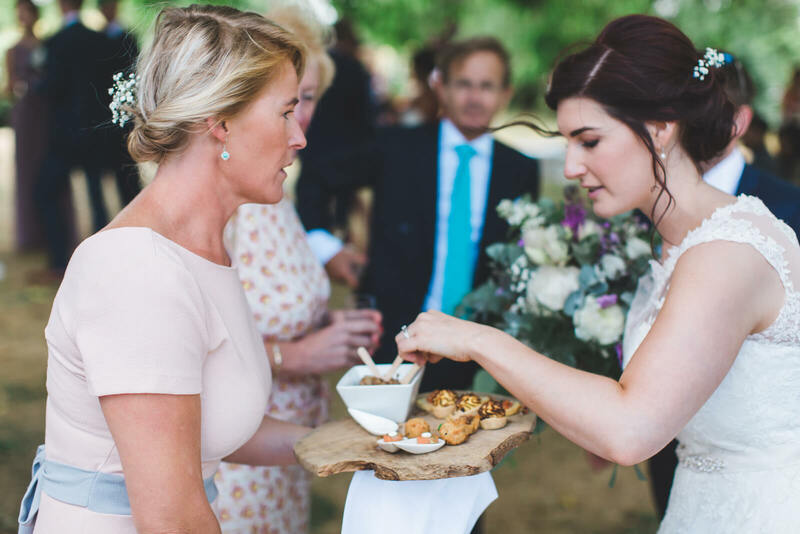 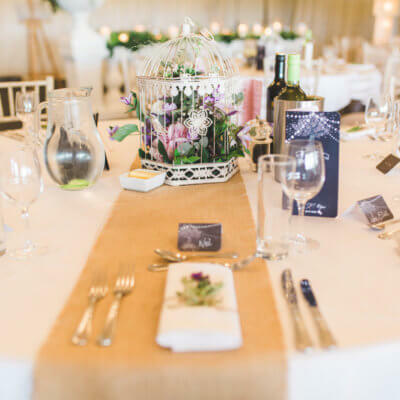 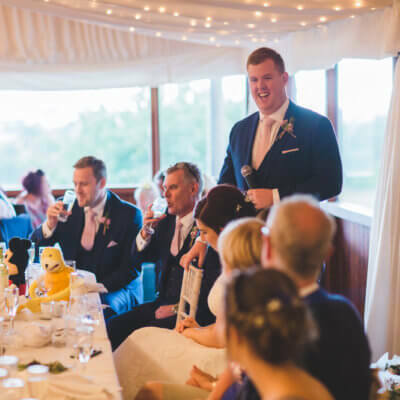 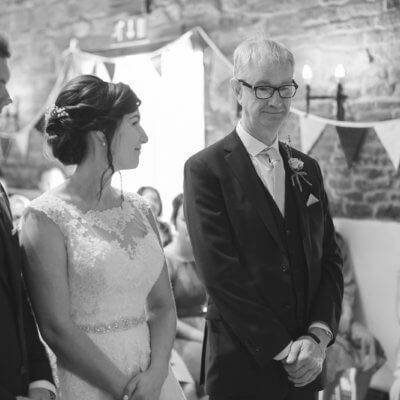 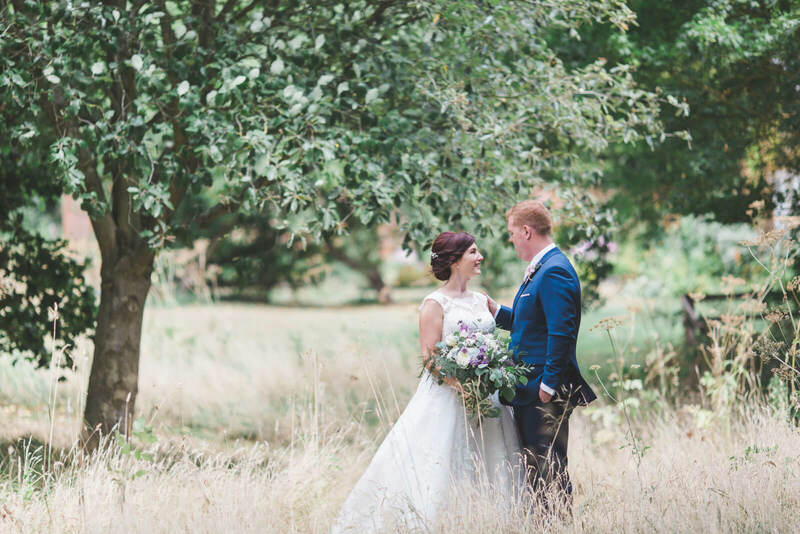 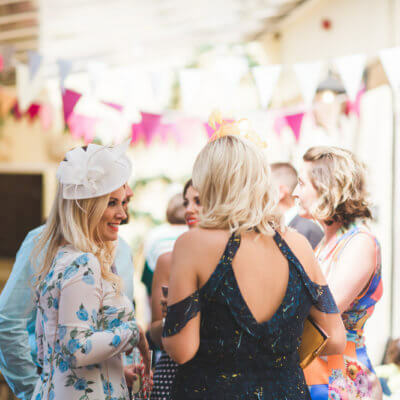 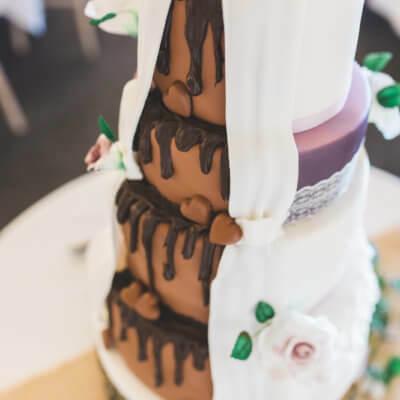 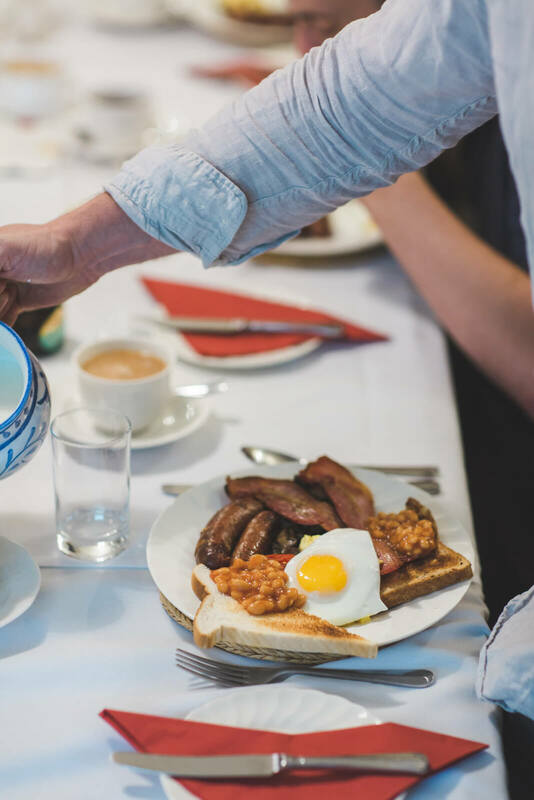 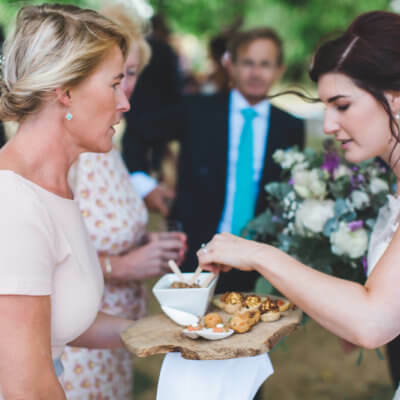 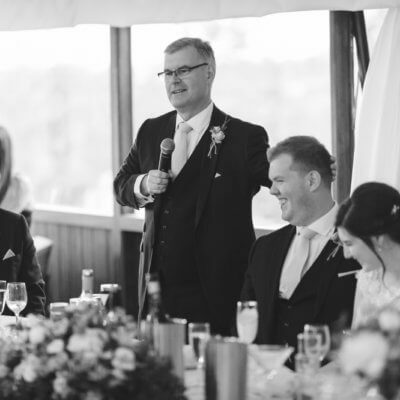 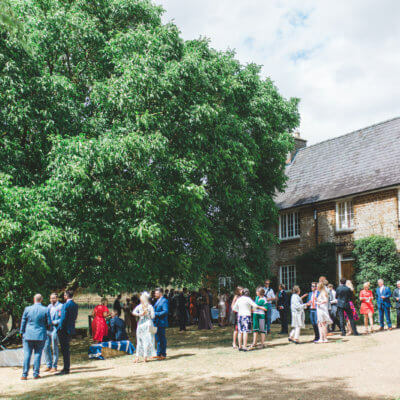 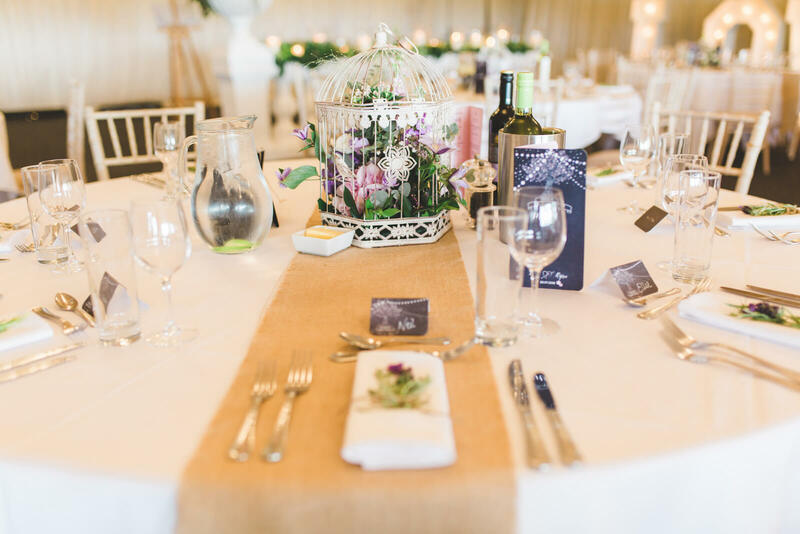 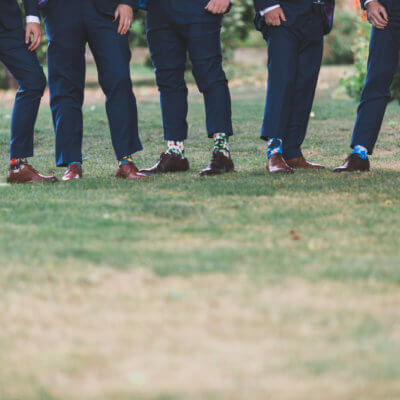 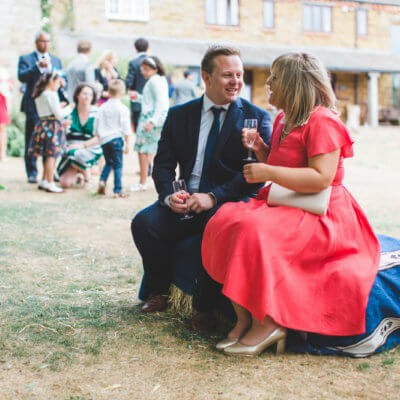 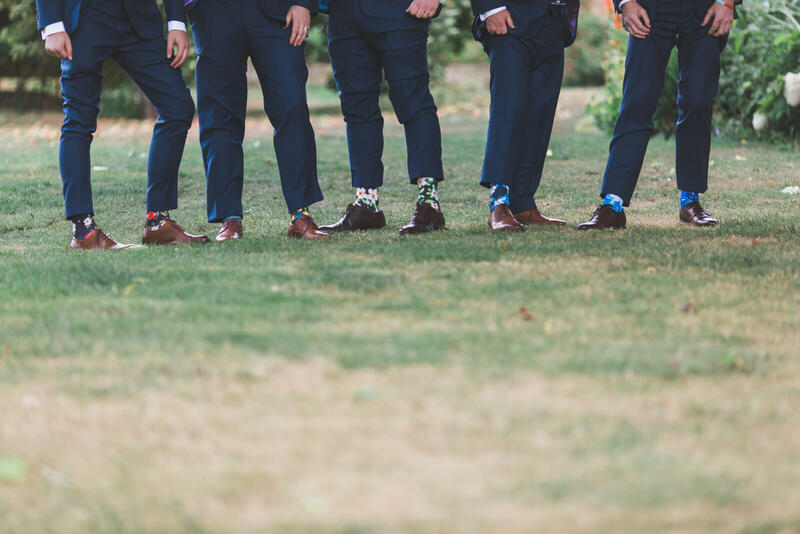 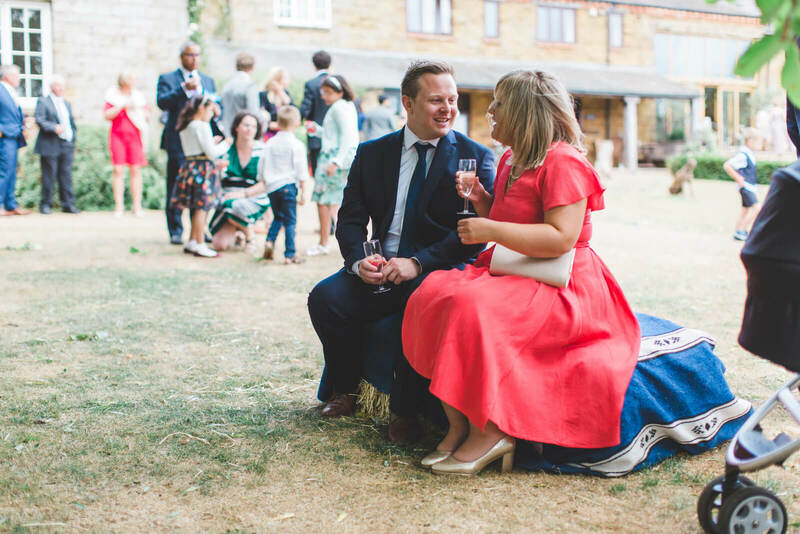 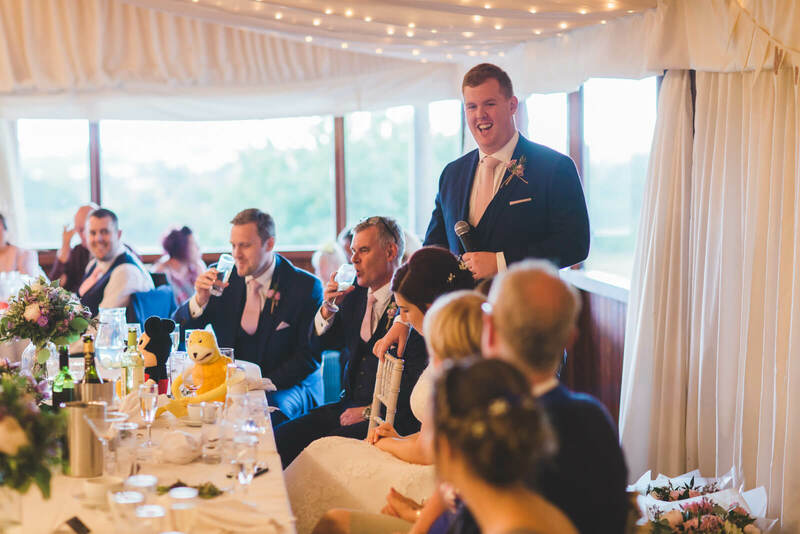 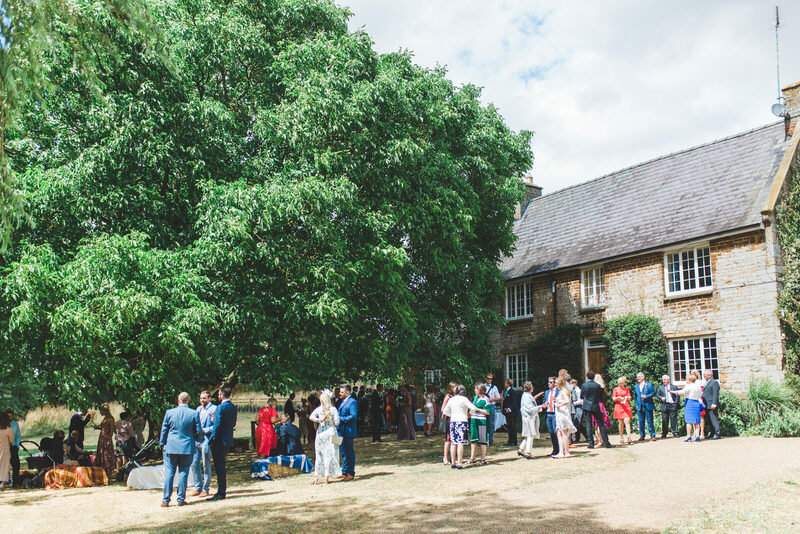 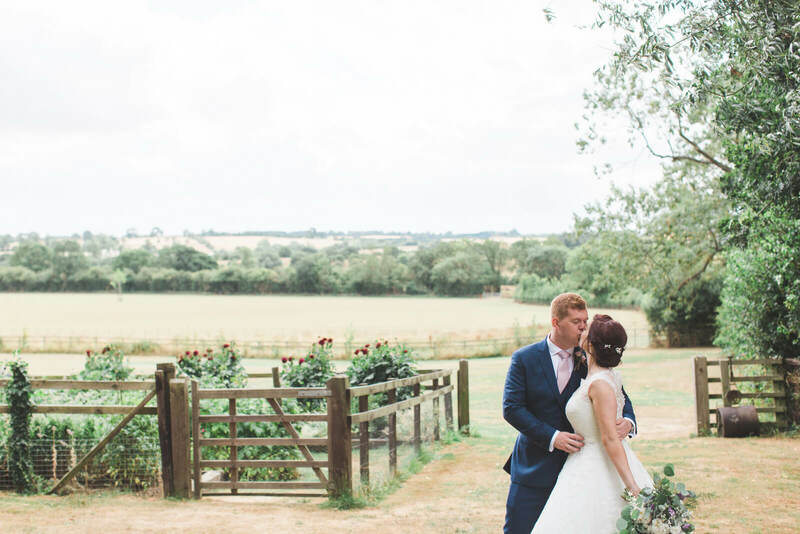 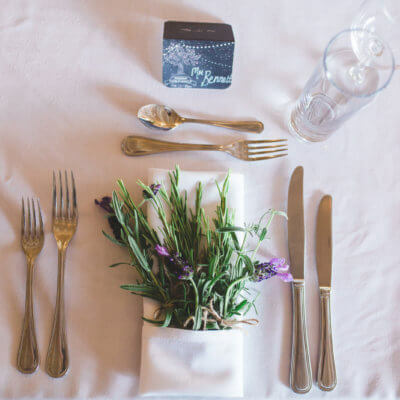 Photographers Ben & Tim from Milk Bottle Photography were a joy to work with; our thanks to them and to Lisa & Ryan for the beautiful shots and for allowing us to share them with you.